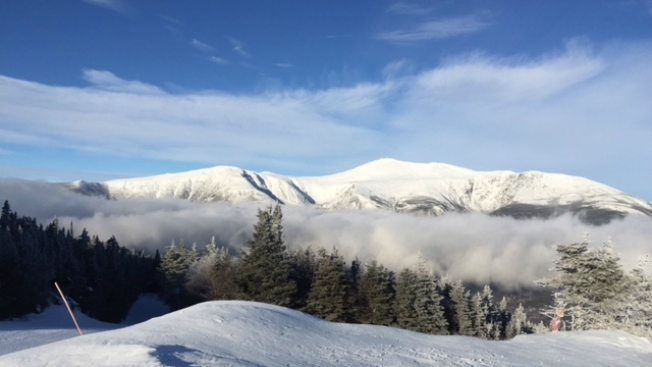 In New Hampshire, the Mount Washington Avalanche Center has issued an extreme avalanche danger warning on two trails after more than 16 inches of snow has fallen on the highest peak in the Northeast. The warning was issued for much of Huntington Ravine and Tuckerman Ravine. The 6,288-foot summit had picked up 16.4 inches of snow as of 7 a.m. Monday, with more snow falling. Just after 12:30 p.m., it was 6 degrees at the summit with 67 mph wind gusts, creating a wind child of 24 degrees below zero.